The beauty industry in the UK is thriving, so it is a good job market to enter if you have a particular interest in beauty therapy and want to train as a therapist. These days there is fantastic training available that will allow you to specialise in certain areas of beauty therapy, so if you want to train to become an aesthetics therapist, you can look at Glasgow Aesthetics Training courses to suit your needs. Many training opportunities are open to people now that were not available ten to fifteen years ago, so you can more easily find your niche today than you could in the past (with or without an expensive degree). More therapists are in demand in salons across the country than ever before, so your training would be worth the effort. You can also gain valuable experience while you train by working part-time in a beauty salon or spa facility. No matter what sub-sector of the beauty industry you wish to enter, having a good grounding in a salon environment will certainly benefit you in the future when applying for job vacancies for trained and experienced therapists. For a first-time job seeker looking for an opening in the beauty industry, there are a few things you can try to boost your chances of being hired while you train. Let’s take a look at some tried and tested tips that have been successful for other therapists just starting out. 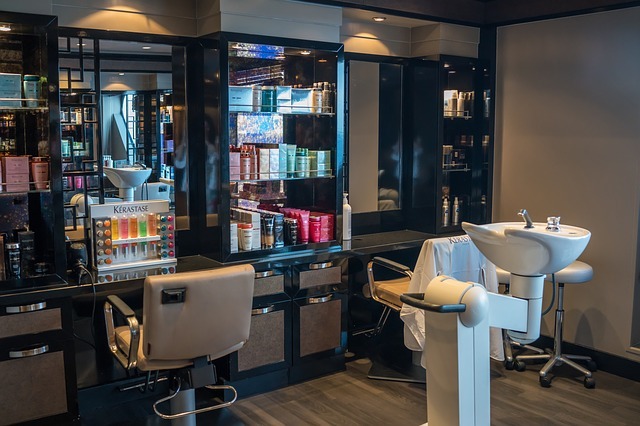 If you live in an area were there are a few beauty salons or a couple of larger spa’s around, then you can try to get your foot in the door by introducing yourself in person and handing out your CV to the salon manager. You should tailor your CV to show your interest in the beauty industry and highlight what training you have already achieved, or the courses that you are currently studying. The salon manager may be interested to learn that you will soon be a newly qualified therapist in a treatment that they don’t offer as yet, but are keen to start offering their clients. While visiting salons, you should pick up business cards and contact details for the salon manager. Once you have personally visited all the salons and spas in your area and left a copy of your CV, you should follow up your visits with a polite and friendly email. Try to email the manager in person if at all possible. This will keep your face fresh in their mind, so should an opening come up at the salon, they will think of you and may ask you back for an interview. Many beauty salons and spas take on new staff as trainees or apprentices. This may involve you working as a bit of dogsbody to begin with, but this can give you valuable experience of the beauty industry and how the business works behind the scenes. As you complete your beauty training courses, you will be in a good position to start working alongside other therapists and eventually take on your own clients as you become more experienced and established. Remember though that everything starts with your first steps with your Glasgow Aesthetics Training. Hi Dimitris, I agree with your article. The beauty industry in the UK is thriving and the job market is hungry for well trained beauty therapy therapist. Doing some hands on task (within and behind the scenes) in a salon/spa whilst doing your course will pay big time as you will be sort of ready when you get a paying job or start your own business.